MASCOTTE, Fla. - A man has been arrested in an armed home invasion where a deputy shot and killed an assault rifle-toting suspect in Mascotte, according to authorities. Chacarion Avant, 20, of Mascotte, died in the shooting, which occurred around 3 a.m. Tuesday in the 2300 block of Taylor Street near U.S. Highway 50. Charles McNeal has been charged with felony murder in the death of Avant, who was also a suspect in the home invasion. 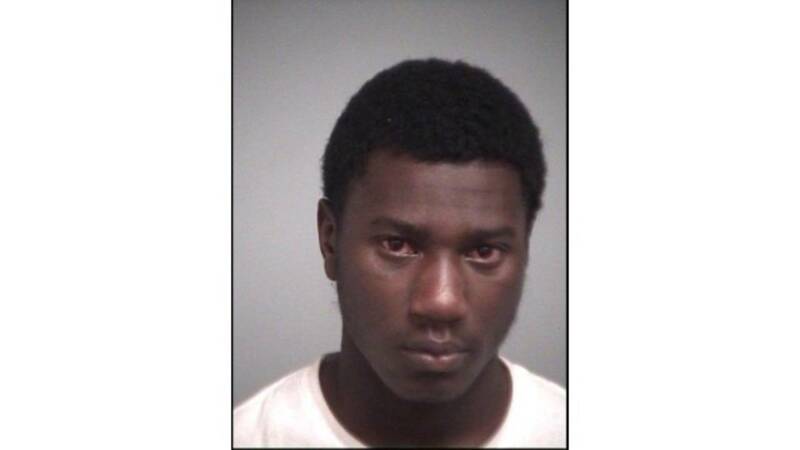 Deputies are also looking for Deondre Brown as a person of interest in the home invasion. Lake County Sheriff's Sgt. Fred Jones said a woman called 911 saying there were men with guns inside the home and she was calling from a locked room. The gunmen shot one man inside the home in the hand and pistol-whipped another, Jones said. Both were taken to a hospital and later released, officials said. The man who was shot in the hand showed Local 6 the bandage and said he's in serious pain. When asked why anyone would target him, he answered, "I just go to work and come home." He would not say if there were valuables or anything else in the home. Jones said one of the intruders, later identified as Avant, came out of the home and pointed an assault rifle at deputies, one of whom opened fire, striking him. Avant was taken to a hospital and died, Jones said. Jones said the deputy who fired avoided a shootout. "Thank goodness there wasn't [a shootout] because an assault rifle can penetrate through a vest, it can penetrate through vehicles so luckily the deputy got a shot off," said Jones. "It probably saved his life as well as the deputy that was with him." A young man claiming to be Avant's step-brother told Local 6 he didn't believe Avant would point an assault rifle at a law enforcement officer. He also said the rifle, which he described as an AK-47, wouldn't have fired anyway. "The AK don't even shoot. It don't work," said LaDarrien Fulpher. "The AK, the trigger on it is jammed, it don't shoot." Records with the Florida Department of Corrections show Avant was on probation for burglary until 2018. "He messed up, made a mistake, trying to get back on the right path," said Fulpher. "Struggling down bad, need some money. I know he tried to rob them, I know that for a fact, but didn't need to take his life." A reporter for The Daily Commercial, a news website in Lake County, said he and the person he was interviewing for his story noticed Charles McNeal hiding next to a truck Tuesday afternoon. "While we were talking, he says there's something behind the truck that don't look right!" said reporter Millard Ives. "I start walking towards it and I see this guy crouched down by the front passenger wheel of the vehicle. He didn't see me because he had his back towards me. So I just ran to the deputy and told him there was a guy hiding back there." Investigators are trying to determine if the home was targeted and if the residents knew the intruders. A perimeter from Taylor Street to the Sumter County line was set up in the search for the other intruders. The deputy who fatally shot the man is a nine-year veteran. He and another deputy, a two-year veteran, will be placed on administrative leave, which is standard procedure in officer-related shootings. The Florida Department of Law Enforcement will investigate the fatal shooting. 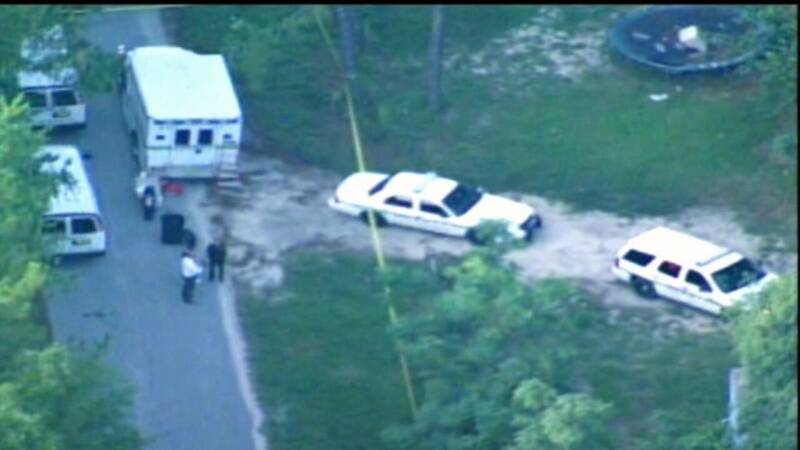 A deputy shoots and kills a suspect in Lake County.